Alongside the recent redevelopment of the Victoria Park Golf Learning Centre we have also expanded on our team and are excited to announce the addition of 5 new coaches. We have 4 new PGA Golf Professionals and 1 Golf Fitness Specialist who are all now available to book in lessons. Read on to find out more about our new coaches. Murray Lott is an experienced professional golfer with significant standing in the golfing community both in Australia and overseas. Murray has worked at some of Australia’s leading establishments including Royal Queensland Golf Club, Brisbane golf Club and The Royal Sydney Golf Club. He currently lectures as a Lead Presenter for the PGA of Australia/China Golf Association and coaches numerous students on tour, including six-time major winner, Sir Nick Faldo. Richard Nizielski is a former Olympian who joins the team as our Golf Fitness Specialist. Operating out of the gym on the first level of the Golf Learning Centre, Richard will be available for one on one session and group sessions. In recent years, Richard has worked with the Queensland Golf School of Excellence to nurture junior development. Richard is currently available for sessions on Wednesday – Friday between 4pm and 7pm. Eric Moon is a former Australasian Tour player and has competed in Korea and on the Sunshine Pro-Am Swing. Eric trained at the PGA IGI, receiving a Bachelor of Business (Sports Management) and is now a full vocational member of the PGA of Australia. Speaking fluent English and Korean, Eric is a fantastic asset to the Victoria Park golf coaching team with Advanced Coaching status and is Trackman certified. Eric’s passion lies in helping those who struggle to get enough distance out of their shots, with his coaching focused on improving body movement. Drawing from his experience as a touring PGA professional on the Sunshine Pro Am circuit and Australasian tour events, Ryan Fowler brings a fresh wealth of knowledge to the Victoria Park Golf Learning Centre. With a dedication to game development, Ryan is passionate about helping every golfer looking to improve their game regardless of their skill level. Ryan is available Monday – Friday for early morning lessons before the workday begins. Tim Lynch has been a PGA Golf Professional for a decade. His interest in turning professional sparked after winning the Papa New Guinea National Junior Championship in 1997. Tim has caddied for players on the Australasian tour, including caddying at the Australian Open and Australian Masters. Tim has worked in positions such as Assistant Coach at Indooroopilly and Assistant Manager at Victoria Park Golf Complex, and now looks to make coaching a full-time career. 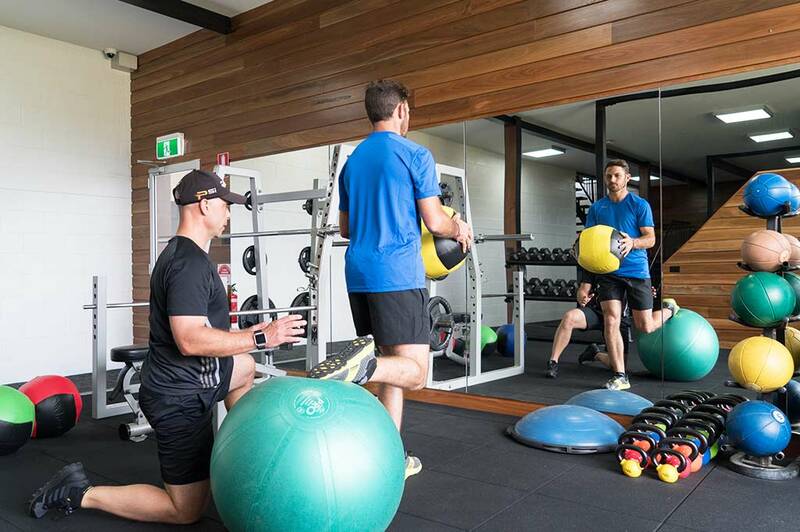 His interests lie in combining golf coaching with fitness development in order to maximise a player’s range of motion. To book in for a lesson with any of our golf coaches, please contact the Golf Shop on 07 3252 9891.